1) Indian Railways started its service 161 years ago on 16 April 1853 when the first passenger train was run over a stretch of 33 kilometres from Mumbai to Thane. The train with 14 railway carriages, carrying around 400 guests, left Bori Bunder at 3:30 p.m. that day. It was declared a public holiday then. 2) Nationalised in 1951, Indian Railways is today the largest rail network in Asia and the world’s second largest network operated under a single management. It has 115,000 km of track length. It runs 12,617 trains to carry over 23 million passengers daily – equivalent to moving the entire population of Australia – connecting more than 7,172 stations. 3) Railways runs more than 7,421 freight trains carrying 3 million tonnes (MT) of freight every day. It has entered a select club of railways that includes China, Russia and USA in carrying more than one billion tons of freight annually. Indian Railways has over 239,281 freight wagons, 59,713 passenger coaches and 9,549 locomotives. 4) A separate budget for the Railways has its genesis in the recommendations of the 10-member Acworth Committee in 1920-21, headed by British railway economist William Acworth. Following his report, the railway finances of India were separated from the general government finances in 1924. 5) In the post-Independence era, railways accounted for 75% of public transport and 90% of freight. Hence, the need for a separate budget. Today, in contrast, the share has reduced to 15% and 30%. 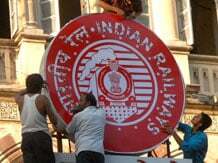 6) The first live telecast of railway budget took place on 24 March 1994. Lalu Prasad Yadav, who remained Railway Minister from 2004 to May 2009 presented the railway budget six times in a row. 7) In 2000, Mamata Banerjee, who is the current Chief Minister of West Bengal, became the first woman Railway Minister. In 2002, she also became the first female railway minister to present the railway budget. Additionally, she holds the record of being the only woman who presented the railway budget for two different governments in the centre (NDA and UPA). 8) India’s fastest train has successfully completed a trial run at 160 km per hour. In a few months, with the rollout of the first semi-high speed train, passengers will be able to travel between Delhi and Agra in just 90 minutes, cutting the journey time by 30 minutes. 9) The New Delhi-Bhopal Shatabdi is currently the fastest train on the Indian Railways network. It reaches a maximum speed of 150 kmph on the Faridabad-Agra section. The Metupalayam-Ooty Nilgiri Passenger train, which runs at an average speed of 10 kmph, is the slowest train. 10) The New Delhi Railway Station has secured a place in the Guinness Book of Records for having the world’s largest Route Relay Interlocking System. This system is put to use where multiple tracks are interlocked. It helps divert train movements during periods of high traffic volumes. 11) With over 1.4 million employees on its rolls, Indian Railways is the world's seventh largest employer after the US Department of Defence, the Chinese Army, Wal-Mart, China National Petroleum, State Grid of China and British Health Service, according to The Economist. 12) The renovated platform at Gorakhpur Railway Station in Uttar Pradesh has become the world's longest, measuring 1,366 meter. Until recently, Kharagpur in West Bengal was the longest platform at 1,072 meter, followed by State Street Center subway station in Chicago at 1,067meter. 13) Indian Railways is building the world’s highest railway bridge-five times the height of Qutub Minar and 35 meters taller than Eiffel Tower. It will come up over the Chenab river on the under construction rail link to the Kashmir Valley. The bridge will rise 359 meters over the Chenab on the Udhampur-Srinagar-Baramulla Rail Link Project. Currently, the world’s tallest rail bridge runs over France’s Tarn river. 14) Indian Railways’ longest tunnel is Pir Panjal that links Kashmir Valley with Banihal in Jammu. It runs for a distance of over 11.2 km. The train with the longest route is Vivek Express. Running between Dibrugarh and Kanyakumari, it covers 4,286 km in around 82 hours and 30 minutes. 15) Toilets were introduced on Indian Railways in 1909, more than half a century after the start of operations. Indian Railways started computerized reservation in New Delhi in 1986. 16) Station with the shortest name is Ib in Odisha. Venkatanarasimharajuvariipeta is the station with the longest name (29 letters). This is sometimes spelled with 'Sri' prefixed. 17) Four sites of Indian Railways have been declared as “World Heritage sites” by the UNESCO. These are Darjeeling, Himalayan Railway inscribed in 1999, Mumbai CST Building inscribed in 2004, Neelgiri Mountain Railways inscribed in 2005 and Kalka-Shimla Railways inscribed in 2008. 18) The Fairy Queen, plying between New Delhi and Alwar in Rajasthan, is the oldest functioning steam engine in the world. It has been listed in the Guinness Book of World Records and has also received the Heritage Award from the International Tourist Bureau, Berlin.